A cute and country basket of mixed blossoms! 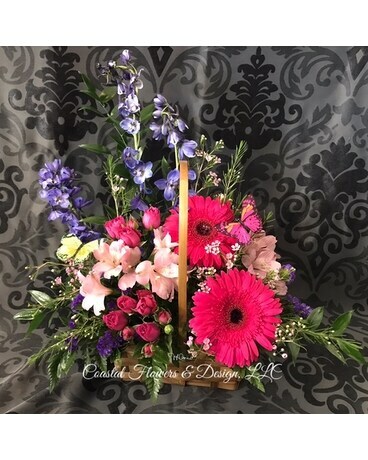 Incudes but not limited to, roses, spray roses, gerber daisies, delphinium, stock, slddtromeira and an array of mixed foliage's designed in a cute wicker basket and adorn with butterflies! Sure to be a hit for that special one in your life!